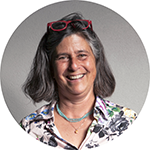 Sally Brown is a research professor at the School of Environmental and Forest Sciences at the University of Washington. She has a BA from Williams College and a MS and PhD from the University of Maryland in Soil Science. Her research focuses on different aspects of the use of biosolids and other residuals including risks associated with contaminants, in situ restoration of contaminated sites, carbon balance for different end use options, and integration of residuals use in green urban infrastructure. Marco has 20 years of experience in planning consistent MSW management, designing and up¬grading of collection and transport schemes, assessing recycling facilities) in Europe, Latin America and Asia. With a specific engagement for MSW solutions in cities he supported the City of Milan (Italy) in setting up the recycling scheme for food waste in 2012 and defined the strategy for organic waste diversion and recycling for the Mega-City of Sao Paulo, Brazil and was recently involved in the Food Waste and City initiative of the Ellen MacArthur Foundation. Surya leads interdisciplinary research for cropping with a focus on improving water use efficiency in farming. His team follows the holistic approach in research involving water smart crops (crop drought tolerance), smart irrigation and carbon smart fertilizers to resolve the complex issue of on improvements of water use efficiency in farming. Equipped with degrees in Agriculture and Environmental Science, Johannes Biala has worked in organics recycling, composting and the use of recycled organic products for 30 years. 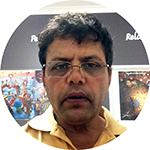 He has extensive experience as consultant and researcher in all key areas of the organics recycling supply chain, including collection and processing of organic residues and the use of recycled organic products in agriculture & horticulture. Today he is Director of the Centre for Recycling of Organic Waste and Nutrients at the University of Queensland’s School of Agriculture. 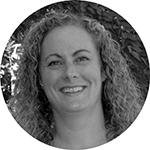 Karen is a Waste & Environment Consultant at MRA. Karen is currently the Program Manager for Halve Waste, an initiative between six councils in North East Victoria and Riverina NSW. She also has experience and knowledge working in a Waste Educational role for 2 years. Her work has assisted in educating over 4600 people in waste education in schools and community groups across 6 council shires. 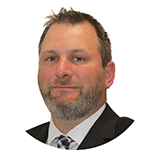 Michael is a Principal and Vice-President with GHD in Whitby, Ontario Canada. 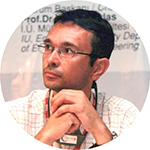 He has over 25 years of waste industry consulting experience. His main focus has been assisting municipalities and private industry with the planning, approvals and design of waste management facilities. Over his 25-year career, he has successfully completed planning and approvals for landfills, transfer stations, composting facilities, recycling facilities and energy from waste facilities. He has also been an adjunct professor at the University of Toronto lecturing on waste management planning and approvals. Andrew is the Strategy Lead for Recycled Organics with Sustainability Victoria where he leads implementation of the Victorian Organics Resource Recovery Strategy. Andrew has more than 25 years’ experience in agriculture, primarily in the cotton and sugarcane industries. Prior to his current role, Andrew was Group Agronomist for MSF Sugar Ltd where he led agricultural practice change projects in Queensland and Thailand. Charlie joined SOILCO in 2001 and over the past 17 years has overseen the growth of the business through focusing on its core competency; provision of organics recycling services and production of quality assured soil, compost and mulch products. Prior to SOILCO, Charlie achieved tertiary qualifications in Science (Environmental Biology) and worked with a range of environmental, landscaping and horticultural businesses. Bill is an agricultural and environmental scientist and agronomist who has worked with the recycled organics sector since the mid-1990s. As a co-owner of environmental consultancy, Blue Environment, Bill mainly works in the area of organics resource recovery. With SESL Australia, Blue Environment is also undertaking a Hort Innovations Australia project looking at how earthworms and viticulture can boost the productivity of commercial vegetable farms. Bill has also undertaken work for AORA looking at how carbon from composts can be recognised under the emissions reduction fund. Piers has 25 years experience in regulatory, environmental and community management roles. He has managed approval and compliance programmes for significant mining and infrastructure projects in the resource sector, and has a particular enthusiasm for capitalising on local community and conservation opportunities that present alongside resource projects and optimising land rehabilitation post mining. Piers holds a B Sc degree from Murdoch University. Dr Helen Lewis runs her own consulting business, providing research and strategic advice to a range of industry and government clients on product stewardship and packaging. 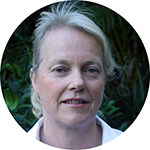 She is an Adjunct Professor with the Institute for Sustainable Futures at the University of Technology Sydney and a consultant to the Australian Packaging Covenant Organisation. Helen has written widely on product stewardship and corporate social responsibility including several books. 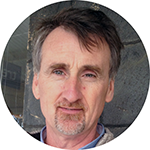 Declan has 30 years’ experience in agricultural, horticultural, recreational and amenity soil management with Private Enterprise, State and Local Governments, and Catchment Management Authorities. In May 2014 he opened an office for SESL in Victoria. He has authored / co-authored a number of publications aimed at improving understanding and management of soil as a living realm. 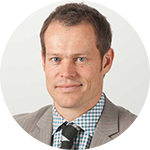 Dr Ash Martin is the Co-Principal Scientist and Managing Director of Microbiology Laboratories Australia. 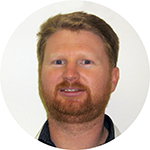 Ash has worked as an experimental scientist, postdoctoral researcher, technical officer, research officer, agronomist, farmer and nurseryman. Ash enjoys helping to make compost production and use more sustainable by providing tests and expertise to help manage compost microbiology. With a background in on-farm environmental programmes and policy development, and working experience of both New Zealand and Australia, Sam brings an in depth understanding of agriculture, dairy and food production. Sam is passionate about agriculture and enhancing our natural environment and is continuously seeking solutions for sustainable food production. 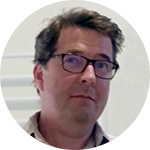 Eric is the founder and Managing Director of CEMAC Technologies Pty Ltd. Eric has degree in Mechanical and Chemical Engineering from the technical university of Aachen in Germany, with a Master’s Thesis completed at the Imperial College in London. Following that, Eric gathered extensive experience in project management of turnkey production plants for a German engineering company world-wide. 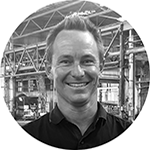 In 2003 Eric migrated to Australia, and after working in the recycling sector for 14 years supplying recycling and resource recovery technologies, founded CEMAC Technologies in 2017. 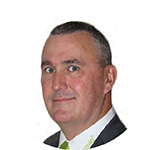 Darren is a Chartered Waste Manager working in waste management for 20 years and is Ricardo’s Director for Australia leading their market entry strategy, responsible for growth and operations. Over the past two decades, living in both Australia and the UK, Darren has delivered many projects on behalf of councils, state and national governments, working across three continents.